The two most recent computer labs to open within the DDJC network are fostering intergenerational knowledge exchange that puts this principle into practice. The Kemeny Reading Corner’s Computer Center in Detroit’s 48217 neighborhood and the Hannan House Community Computer Center in the Woodward Corridor both celebrated grand openings within the last month. A primary function of both centers will be bringing seniors and youth together around technology and communication. The Hannan House computer lab’s primary goal is to help seniors learn how to utilize the enhanced communication technologies that computer access allows. It is staffed by trained volunteer mentors and student interns, who are available to help their fellow seniors become more comfortable with use of the computers. From working with seniors and their guests at Hannan House, the mentors and interns have become familiar with a range of computer needs. Those needs include everything from job searches, business opportunities, artwork, research, writing or enjoying their favorite entertainment shows from the past. But whether at Hannan or Kemeny, a common need for seniors seems to be using the technology to keep in touch with younger family members. Where the younger generation has taken to social media as a fundamental way of communicating with each other, seniors often feel left out and are coming to understand its value in keeping in touch with their children and grandchildren. The Kemeny Reading Corner Computer Lab, is taking a more direct approach to bridging the digital divide among generations. Dr. Delores Leonard, who established the Reading Corner inside of Kemeny last summer in order to give area youth greater access to books and other reading material, has been leading that charge. By establishing a computer lab in the same space, Leonard envisions bringing the generations closer together around learning from one another. “There is such a generational gap and I want to do better with that,” said Leonard “Hopefully by introducing the seniors to the computers, the children will ultimately be able to help the seniors. Expanding the educational opportunities through the use of computer technology is another primary goal for community members old and young. Where traditional institutions like the school system or media may fall short, community computer labs such as these can help fill the void. “People don’t want to be left out and just know the news from what they see on television compared to the news you can get on the internet,” said Kemeny Director Robert Donaldson. “It’s an entirely different thing. You only get sound bites on television, but through the internet you can sometimes get the whole entire story. The preservation of history is another way both computers centers envision bringing the generations together. Hannan has a project to do so through a series of oral history interviews with its Gardening Angels Program, in conjunction with the Greener School’s Senior Engagement Program of the East Michigan Environmental Action Council (EMEAC). “The next step after all of that is trying to incorporate our media and get the seniors to start telling their life stories,” Padilla said. Meanwhile at Kemeny the plan is to have youth and seniors come together to preserve their histories using photos from family albums. “In teaching, you take people from the known to the unknown,” said Leonard, a retired educator. “I’m starting with the known, talking about family and the kinds of things we want to give to our families and our children. This all fits into the DDJC’s goal democratizing media and technology to strengthen the fabric of local communities in the city. 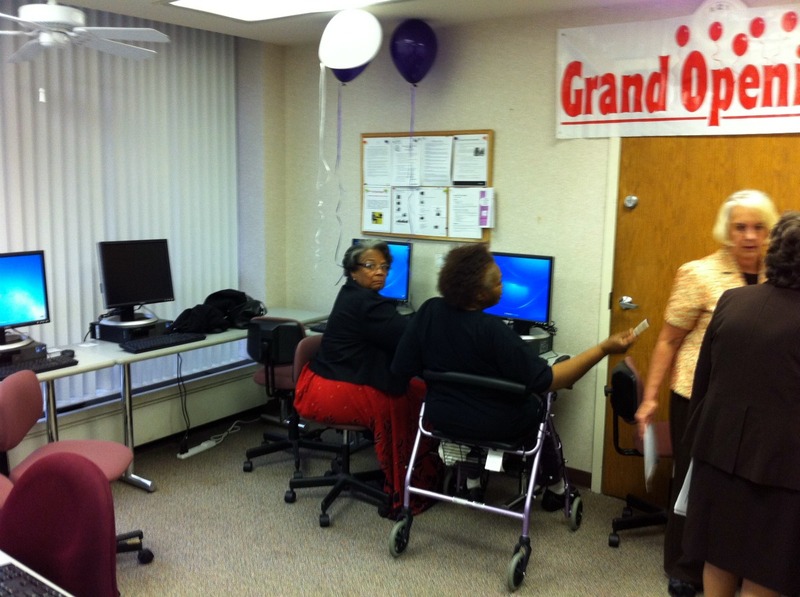 DETROIT – The Hannan Center for Senior Learning’s Community Computer Center (CCC) is one of 13 labs created by the Detroit Digital Justice Coalition (DDJC) with support from the Broadband Technology Opportunities Program (BTOP). Hannan’s CCC is a membership-based public computer center. Membership is free, but patrons need to apply at the front reception desk. 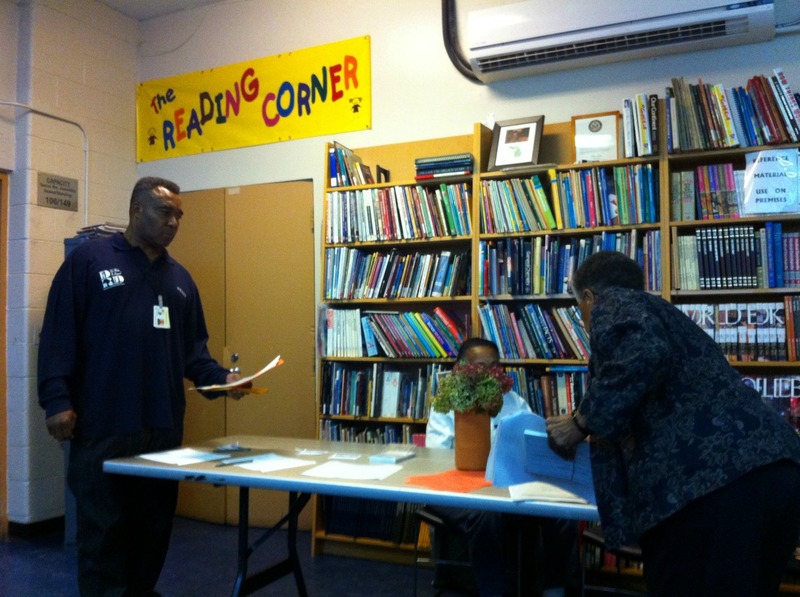 Though the CCC is open to all, it specifically promotes computer literacy for adults and older adults. Adults 40 and over are encouraged to become members while guest memberships are also available for adults ages 18-39 when accompanied by a member. The CCC is staffed by senior volunteers or “mentors” in addition to Hanan House interns. 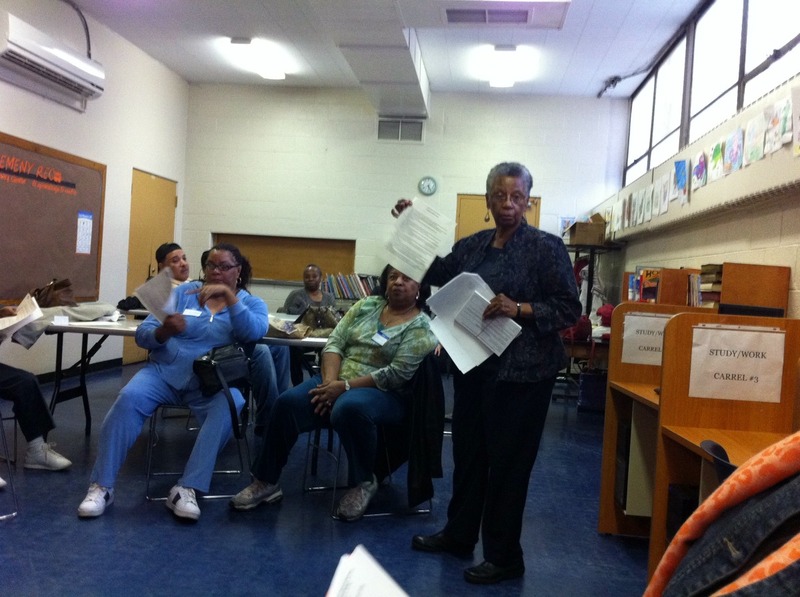 CCC mentors and interns were trained by Operation ABLE, American Association of Retired Persons (AARP) and the Luella Hannan Memorial Foundation. The CCC is open Monday-Friday from 9 a.m. to 4 p.m. During each day, there is at least one mentor available to help members and guests for two-hour shifts. The Hannan CCC is equipped with a total of nine personal computers running off the Windows Operating Systems and loaded with the Microsoft Office 2010 Suite of software. One computer will be equipped with the JAWS software and a reading lens for patrons who are visually impaired. Operation ABLE, the AARP, NPSERV and the Hannan Foundation collaborate together to over see the daily operations of the CCC. For questions about using Hannan’s CCC call Nancy O’Malley at 313 832-0922. DETROIT – The Kemeny Recreational Center’s Reading Corner officially opened their new computer center with a special gathering on November 2 in Southwest Detroit. Approximately two dozen community members, Kemeny staff and local organizers were in attendance as a total of eight new personal computers with full internet capability were officially brought online and introduced to community members. Kemeny Center Supervisor Robert Donaldson gave the welcome followed by an opening address from Leonard. Other speakers at the event were Rhonda Anderson of the Detroit Sierra Club’s Environmental Justice Office, Jenny Lee and Anderson Walworth – both of Allied Media Projects. Anderson spoke on the relationship between environmental justice and digital cheap car insurance justice. Lee spoke on the principles of digital justice and the American Recovery and Reinvestment Act of 2009, which is funding a series of DDJC computer labs through the Broadband Technologies Opportunities Program. “(The computer center) gives the community an opportunity to engage with what’s really going on now because the technology is changing every year,” said Donaldson. “It gives a lot of accessibility to a lot of people who are virtually shut in this Southwest corner of Detroit. Currently the Reading Corner and new computer center share a common meeting space with other activities in the rec center. That should soon change when a long sought new facility is erected soon as a new home of the Kemeny Rec Center. Organizers anticipate the new building should make an even more suitable home for the community computer center. “The new center will definitely be bigger and better,” Donaldson said. “We’ll have a lot more room. For example, you can see in this meeting room that we use is multi-purpose. I believe the participation can be much more impactful when we don’t have to use this it for multiple purposes. We can use it for much more than leisure and recreation but we can get into education. “By all means, the computers come into play with the library and the computer lab. We just don’t want it to be just a little satellite library. If they build this building big enough, it can definitely be like a Detroit Public Library right in the new building. It will give a whole lot more exposure to this southwestern corner. We are not just talking about southwest Detroit, we are also talking about the communities that are adjacent to us like Ecorse, River Rouge, Melvindale, Lincoln Park and South Gate. The Kemeny Reading Corner is a member of the Detroit Digital Justice Coalition along with 12 other organizations in Detroit who are all committed to the principle that communication is a fundamental human right. The DDJC came together around a core group of digital justice principles: Access, Participation, Common Ownership and Healthy Communities. Those organizations are the East Michigan Environmental Action Council (EMEAC), Allied Media Projects (AMP), Michigan Welfare Rights Organization, People United as One, Bridging Communities Inc., Detroit Summer, Detroit Sierra Club Environmental Justice Office, Open Technology Initiative, Mt. Elliot Makerspace, 48217 Health and Community Organization, Hannan House Center for Senior Living, the Ruth Ellis Center and 5E Gallery. Dr. Leonard will be offering basic computer classes for senior learners at the lab. The classes will include how to use email, how to create email attachments and use the internet. Sign up sheets for community members over the age of 55 can be found at the front desk. Or for more information call 313 623-0956. On Tuesday October 4, 2011 the Michigan Welfare Rights Organization, a member of the Detroit Digital Justice Coalition, used mesh wireless technology to share a message with Tigers fans gathered at Comerica Park for game 4 of the playoffs. The message called on people to protest Governor Snyder’s planned cuts in benefits to 41,000 poor Michiganders. Soon after, a federal judge issued an injunction temporarily halting the cuts.